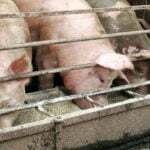 Hog producers should not feed blood plasma products until definite evidence proves there is no link between this high protein product and the spread of porcine epidemic diarrhea, veterinarians say. The Canadian Food Inspection Agency tested the product last month and could not verify a connection. However, some veterinarians are not convinced. “We all know the benefit of blood plasma in starting little pigs under 21 days. It is high grade protein,” Alberta hog veterinarian Dr. Frank Marshall said during a PED conference call sponsored by Alberta Pork. Dr. Lucie Verdon, a veterinarian and national co-ordinator of the Canadian Swine Health Board, also advised caution. “Dispose of it and do not spread it on the fields,” she said. Marshall said hazard analysis critical control points (HACCP) processes in feed mills should deactivate viruses in most feed mixes, but not in creep feed. “We know that this virus takes 60 C for 30 minutes to kill it,” he said. The pelleting procedure for creep feed is to heat it to 75 C for a few seconds. The virus is likely still alive and potentially infective if it is deep inside the pellet. The virus should die if the feed sits at room temperature, but it will remain active if it is shipped frozen. Improperly rendered meat products in feed have potential to spread some diseases, and there could be a link because PED can be found in blood cells. The virus enters cells and the blood stream, which differentiates it from diseases such as transmissible gastroenteritis. Marshall said this connection should not be dismissed because even U.S. farms that had no physical contact with infected operations reported outbreaks. 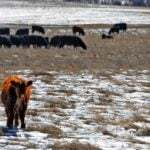 About 130 farms received complete feed containing blood plasma, and 17 farms were infected. “You don’t have to be a rocket scientist to connect the dots,” Marshall said. The CFIA said testing found PED in samples of plasma from the United States that were used by the third-party manufacturer for Grand Valley Fortifiers in Ontario. Testing with a swine bioassay determined that the ingredient contains PED virus capable of causing disease in pigs. The company recalled pelleted product. Scientists continue to look for a possible link. A Kansas State University study led by veterinarian Dr. Sureemas Nitikanchana wrote that further investigations are needed into possible transmission routes. “We continue to believe that while feed transmission is possible, the magnitude of the risk remains undemonstrated and in likelihood is less than other forms of transmission,” he wrote in the paper, which was released Feb. 25. 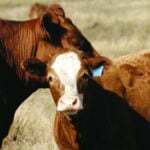 The study said there is almost no information on how to properly deactivate PED, especially in the conditions that are typically used for feed or feed ingredients manufacturing. The review also looked at biosecurity measures. Animal health officials continue to emphasize the need for more hygiene, truck washes with special detergent and a strict biosecurity plan. 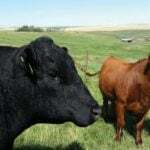 “This virus is being moved around through our errors in biosecurity around transport,” Marshall said. Washing and disinfecting trucks is not mandatory and costs $500 to $600 to do it properly. “When we are looking at a 500 sow unit losing $250,000 in a month, a wash isn’t that expensive,” Marshall said. Ontario had 35 farms with confirmed cases as of March 19. The virus was confirmed at one Manitoba farm and one Prince Edward Island farm Feb. 14. On Feb. 23 it was confirmed at one Quebec farm. The National Animal Health Laboratory Network reported 296 new cases in the U.S. as of March 17. It has also modified earlier totals. Twenty-seven states have confirmed cases.